That’s one of the bigger ones. A huge no-no. This is the kind of stuff that gives DIY’ers a bad reputation. We are huge advocates of doing something yourself (obviously), but only if you know what you’re doing. There’s a world of information out there, and things like plumbing, electrical, and structure, should all be taken seriously and be most often left to professionals. Don’t cut corners. Or floor joists, for crying out loud! 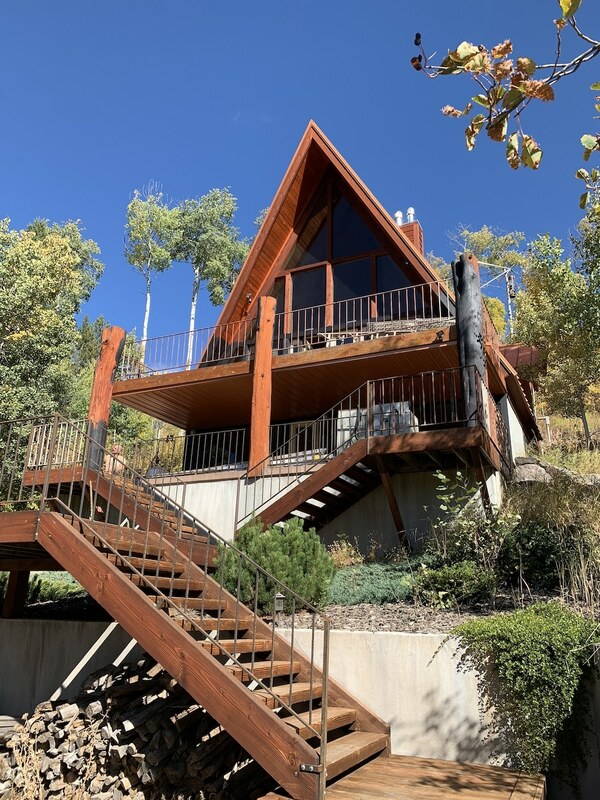 You may remember that the heating and cooling in this cabin was pretty bad – an old school wood burning stove for the basement, a half-functional pellet stove for the upstairs, and completely broken electric heaters in the bedrooms. We added a new AC unit, a propane furnace, and ran new ducts all through the house for better heating and cooling, but still wanted the place to feel like a cabin. And you can’t have that without fireplaces. 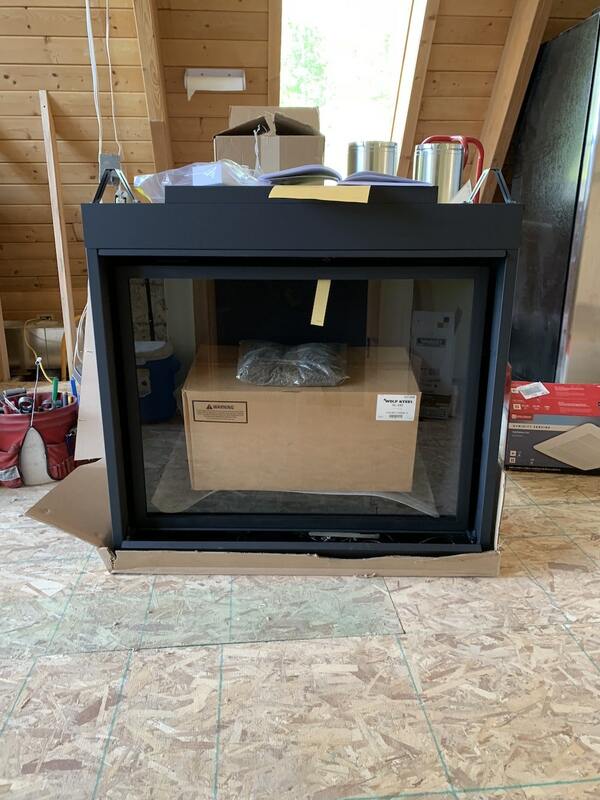 So we ripped out the old wood burning and pellet stoves and are replacing them with new, Napoleon propane fireplaces. You may be wondering why we went with propane for the heating. There are a lot of reasons but it comes down to efficiency and convenience (also natural gas isn’t available up there). Propane is slightly more expensive than natural gas, but it burns more efficiently. So even though propane is more expensive, it balances out a bit. Especially if you can get a big enough tank to last through the winter and just fill it up during the summer months (propane is a lot cheaper in the summer). Anyway, the fireplaces. The ventilation for the previous fireplaces was a bit shoddy and too large for the new fireplaces, so all the old stuff had to come out. There was a lot of pipe running through this stack, and you can see the last of it at the very top of the above picture. And getting that last bit out was sketchy, to say the least. 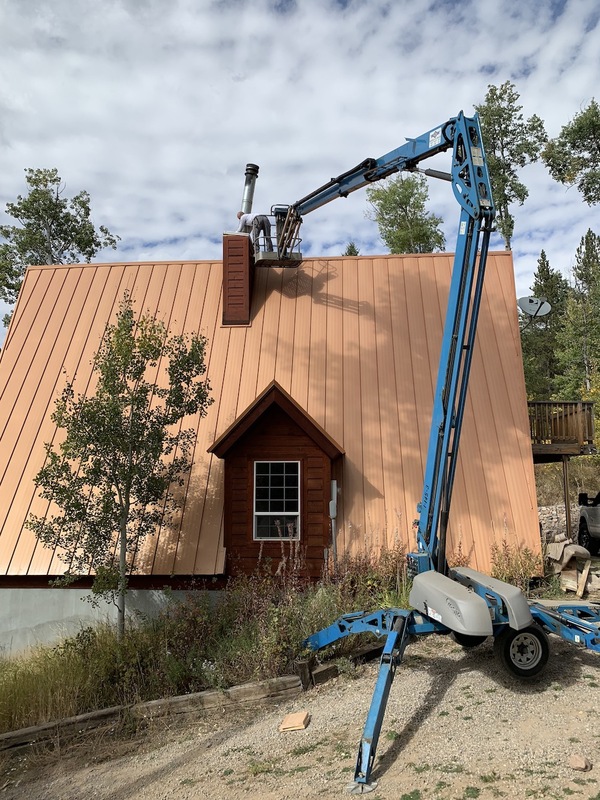 Our contractor brought a giant lift up the mountain and hoisted himself up to the chimney. 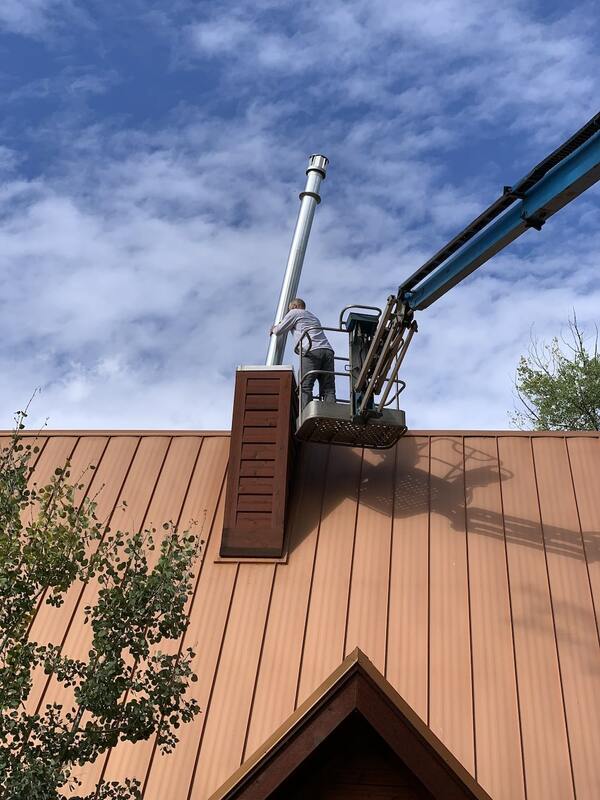 He then lifted the old vents out (with some help from below, pushing it up) and brought them down to the ground before taking the new ones up and securing them in place. 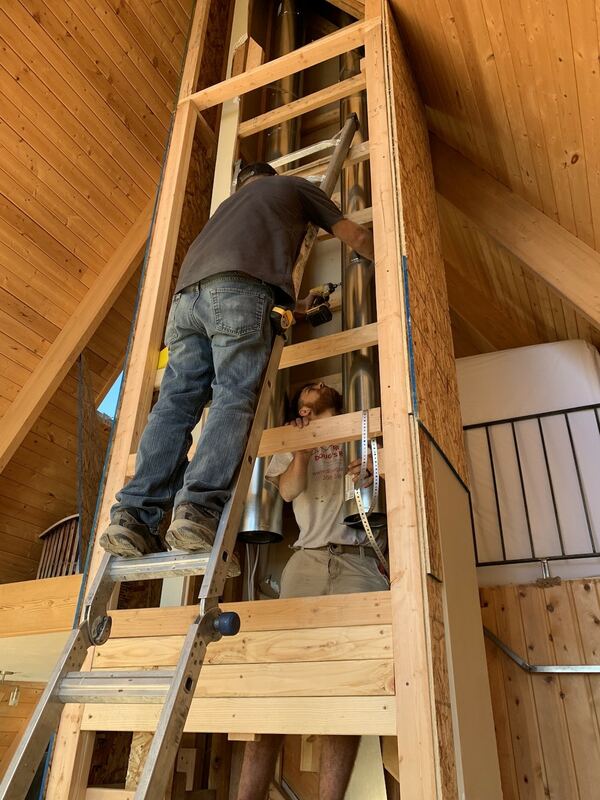 The new chimneys have both an exhaust and a fresh air intake integrated into the same tube, so they work super efficiently while shaving off a couple inches from the diameter. 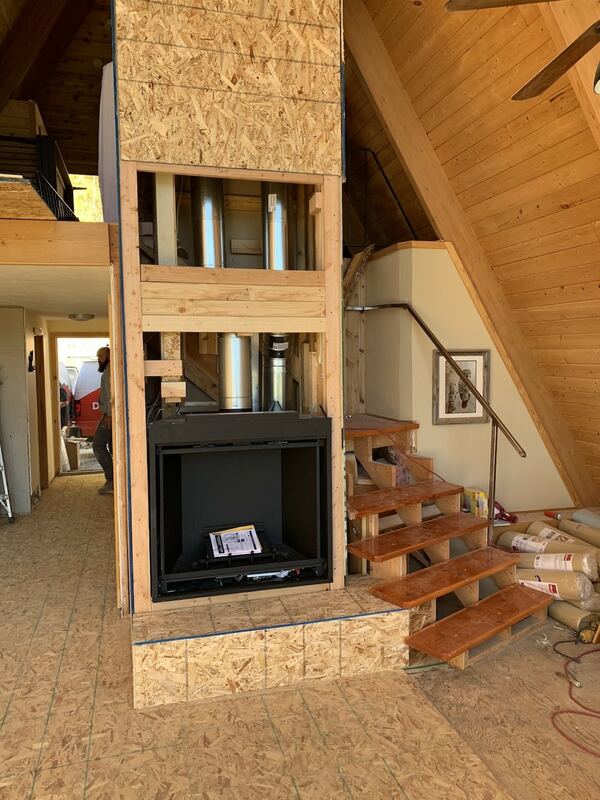 Once the top pieces were secured in place, they made their way down toward the main floor fireplace. Then, they set the fireplace in. So, some great progress, but a couple things to note in the above picture. 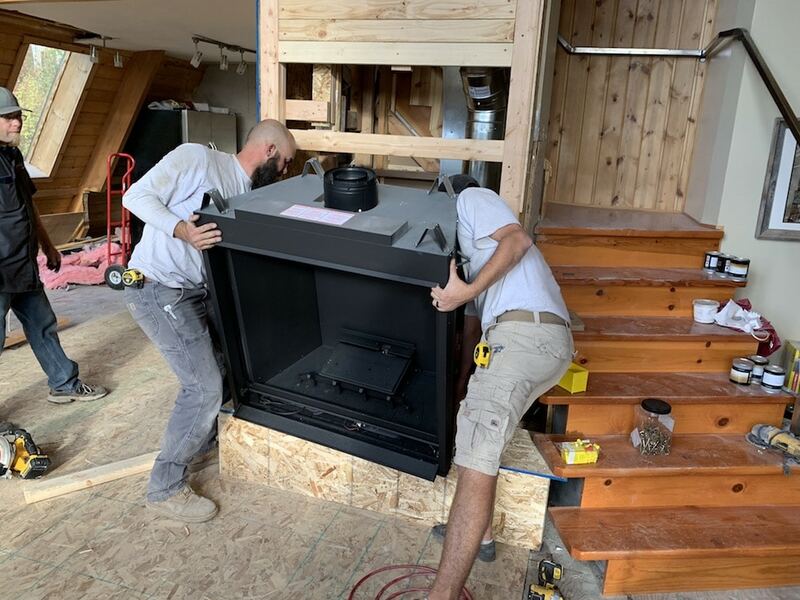 First, the fireplace isn’t mounted or installed yet – they just wanted to get it in place so they could start measuring the rest of the vents down to the downstairs fireplace and get them ordered. But that should happen in the next couple days. The second thing is the hearth. It’s going to be a little different from how it is in the photo – squared off on the right like it is on the left. But we’ll get all that figured out. As of now, we’re just so excited to see the progress. 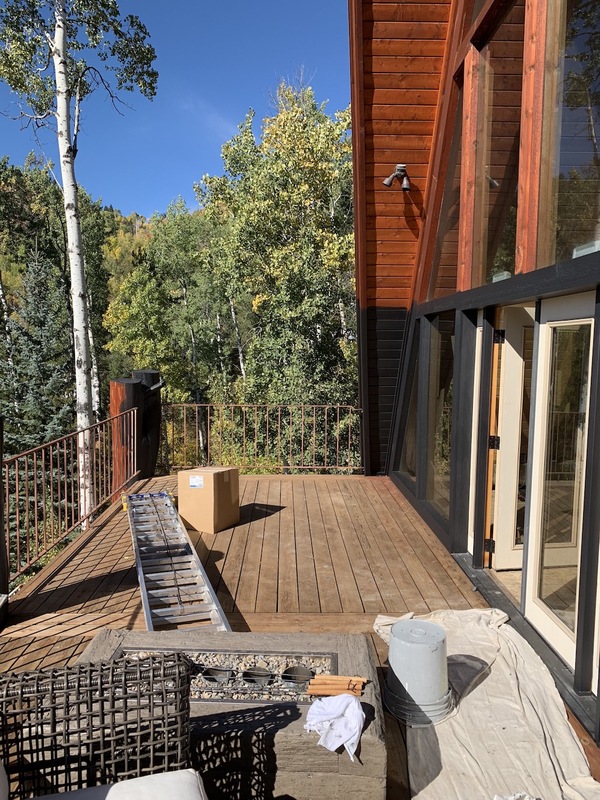 We originally planned to stain the cabin and deck ourselves, but winter is rushing in around here (28 degrees this morning, goodness sakes) and with some delays in other things at the cabin we were running out of time. so we decided to hire it out and they started this week. You can’t see much in the above photo, but there’s some stain on the tree posts and parts of the stairs. Here are some closer shots of the progress. Even though they’re just getting started, you can already tell it’s going to look so good! We honestly can’t wait to see more progress on this every day. There will be a lot of progress happening on the floors this week, so make sure you’re following on Instagram to see the updates. But can’t you just picture it?! It’s going to be so. GOOD! I cannot wait. 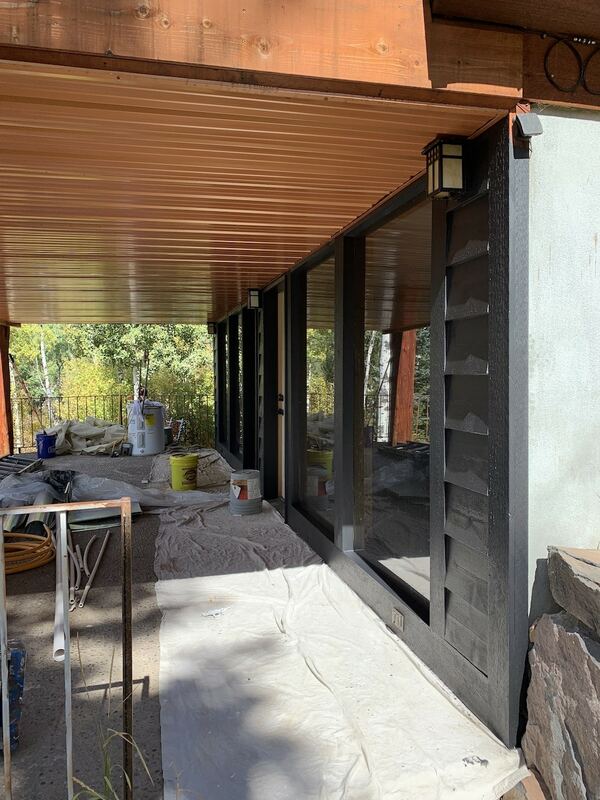 Other things happening this week include (hopefully) the first of the stone work on the upstairs fireplace and the flat parts of the deck getting stained (they’ll be more of a natural color in contrast to the black). 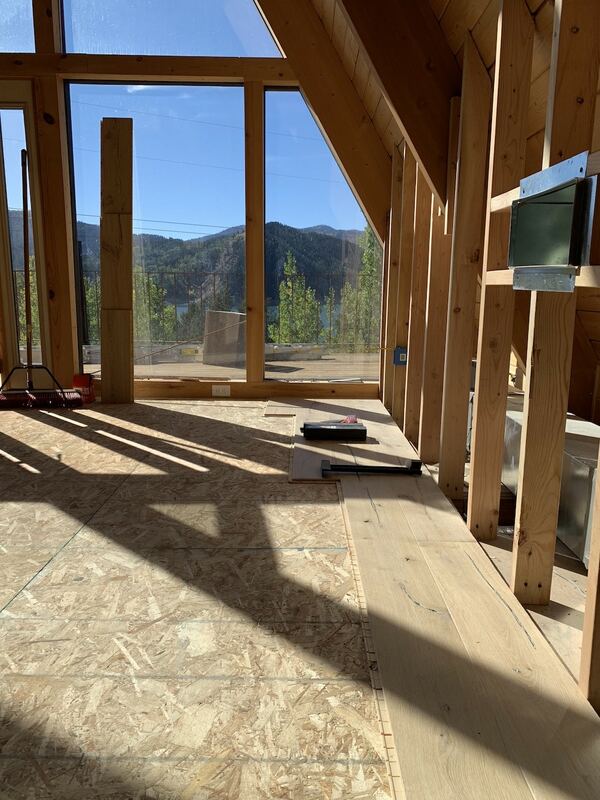 This project has already been going for almost two months just getting the HVAC figured out, but we are so close to being able to get in here and work on the main floor and loft. 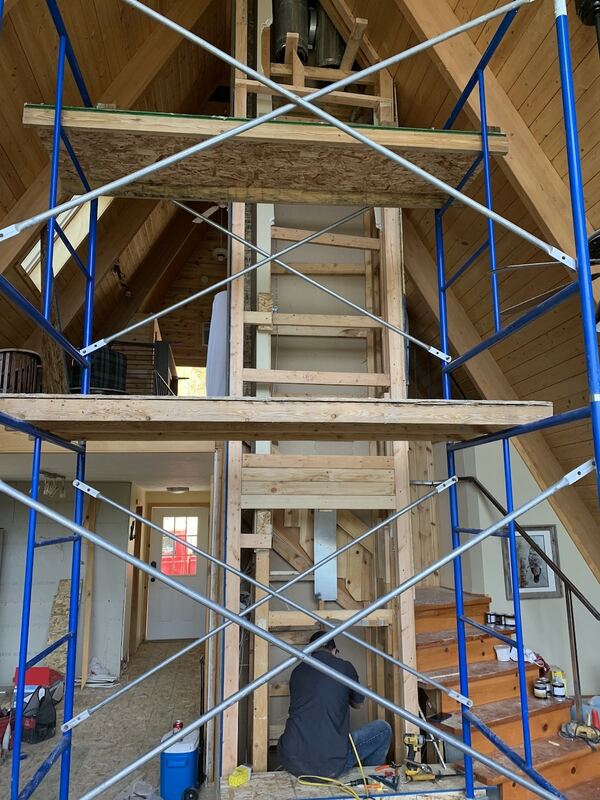 They’re making a big push for those areas so we can start on the kitchen while they finish up everything downstairs (the new bedroom/bathroom, flooring, plumbing, fireplace, stone work etc. ), hopefully all before the snow arrives. Phew, we like to stuff the projects in, don’t we. 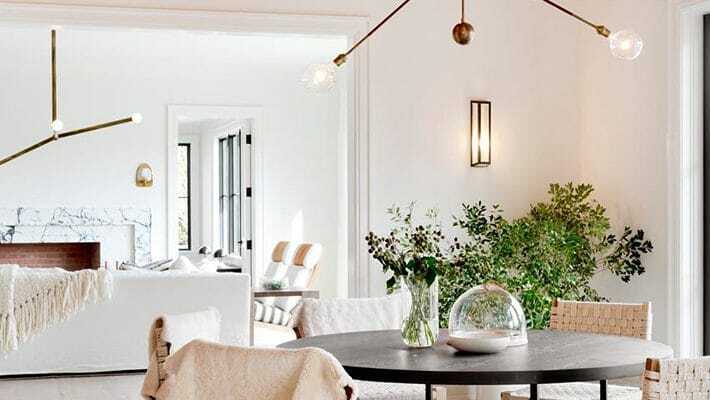 I’m loving all the choices you are making with this renovation. It’s going to look spectacular! I’m so glad you mentioned the hardwood floor brand Stuga. 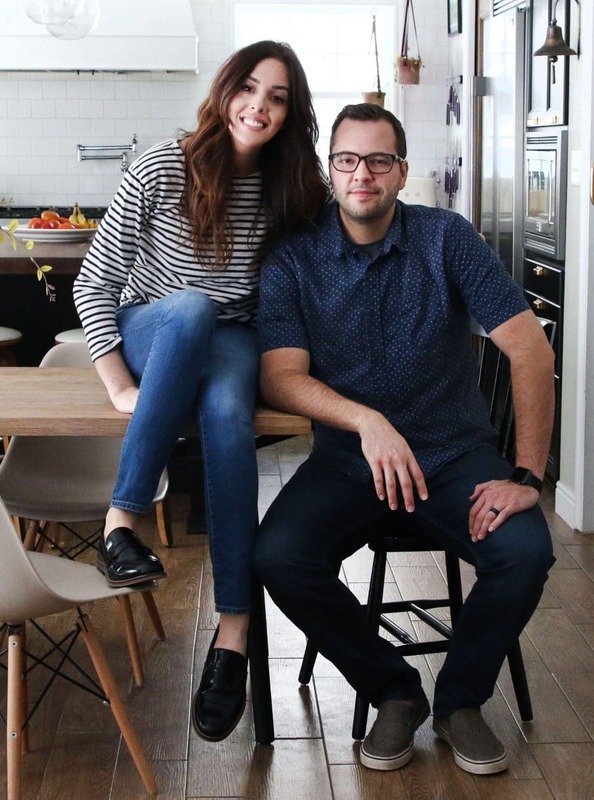 I had never heard of them and I’m going to consider it for our renovation. Do you have any concerns with the dry climate and hardwood floors? We recently moved from the coast to the high desert and I’m just concerned that the wood might dry out. I have to really stay on top of piling our cutting board so it doesn’t crack! The roof is staying as is. It is kind of a light burnt orange color. Wow, wow, wow that exterior is going to be AHHH MAA ZING!!! 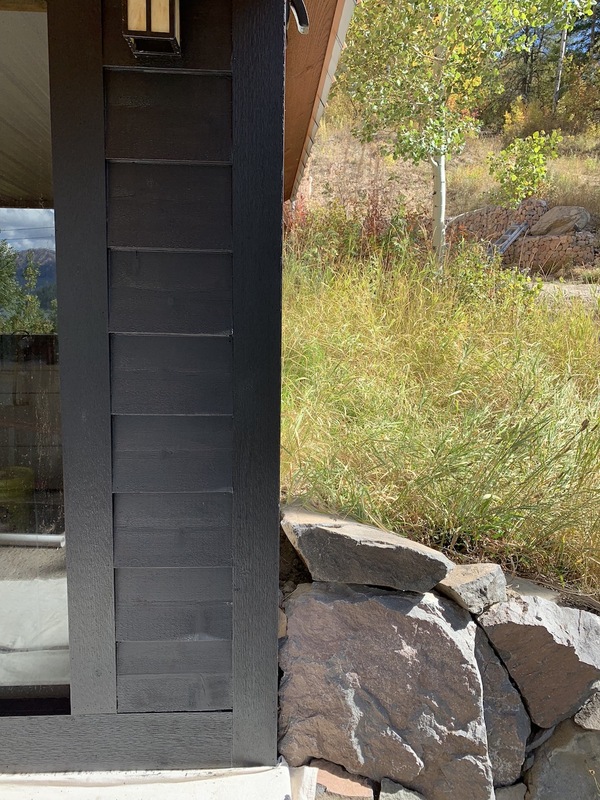 That black exterior stain is NUTS in the best possible way. Cannot wait to see how it turns out! So exciting! Do you feel comfortable sharing the cost of staining? We recently received a quote that was more expensive than a brand new car. I know it varies by region, size of the house, etc. But I’d still be curious to know! Oh my gosh! This was super affordable, although keep in mind that our A-frame is mostly roof! It’s $1800 for the house and another $1800 for the deck. 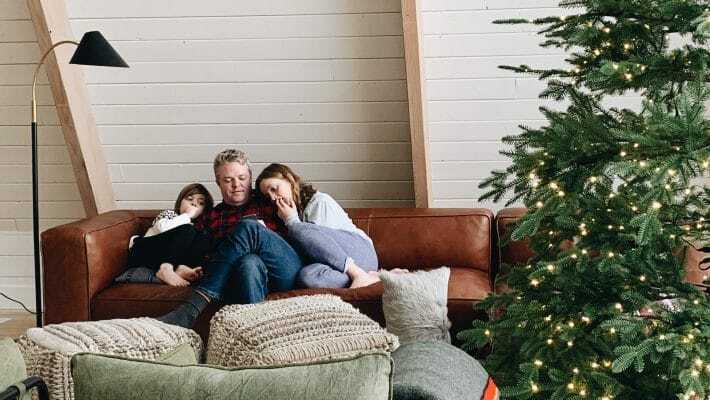 Why did you decide to remove the wood burning fireplace? I’ll admit I’m biased towards wood burning (I think they create such a lovely setting and sounds that gas just can’t replicate), so I’m curious to understand why people remove them. It took hours and hours and hours (literally seven hoursish) to warm up because it had to heat the firebox and the radiate from that. We had a pellet stove upstairs that warmed things up in about an hour, but it required feeding constantly and we had to be on the premises to turn it on. So we really wanted something that we could control remotely. I cannot believe the previous owners just busted through those floor joists like that! Was that under the harth of the wood stove before?! Crazy!!! Directly below the fireplace stack going all the way out the roof. Really terrible. What brand and color are you using for the outdoor stain? We’re using Cabot tintable solid stain, whatever their darkest black is called (can’t remember). OMG! I cannot wait to see this all finished. The cabin is absolutely darling. That fireplace is going to be the perfect spot to curl up in front of on cool nights. The. Black. Is. So. Frigging. GOOD! I can’t wait to see the exterior painted, and the floors laid. 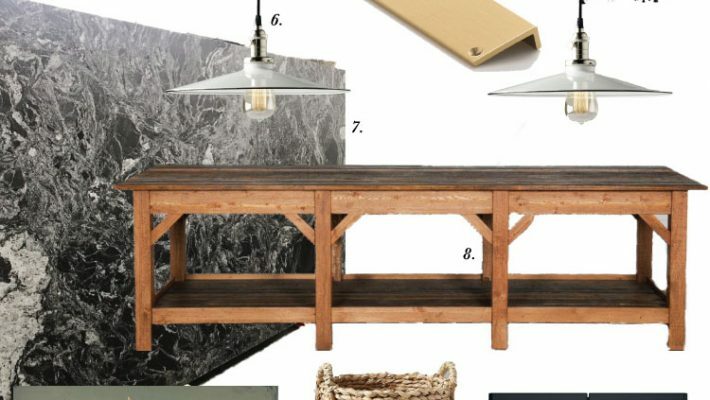 And oh my gosh the fireplace stone! The black is stunning! Can you share which specific Stuga floor you’re using? Sorry if you did and I missed it. I’m redoing my hardwood floors and very intrigued with these. Thanks! Ahhhhh this is so exciting! Just watching your live video too :) I’m loving the idea of hunter green doors. Like, baby contrast haha. Whatever you guys decide is going to look amazing! This is gonna be awesome!! I had to laugh at the partly stained posts because I live in California where we regularly have wildfires, and it totally reminded me of charred tree trunks. But I love black stained wood homes, and I know when the whole thing is one color it’s going to look amaaaaazing. I’m so looking forward to dozens of mountain home progress posts!! Oh. My. Goodness!!! The black stain looks incredible. I am SOOOOO EXCITED!! It’s going to look beautiful – so exciting! Is something missing at the top of the post, after the first paragraph, right after “You’d like an example:”? Thanks for sharing the progress! Just in case you aren’t aware – your videos aren’t embedding on Chrome if the user has AdBlocker enabled! I was wondering why I haven’t been able to see your videos the past few weeks when I previously could, so might be something to advise in your posts! The black is going to look sooooooo good! I can’t wait! 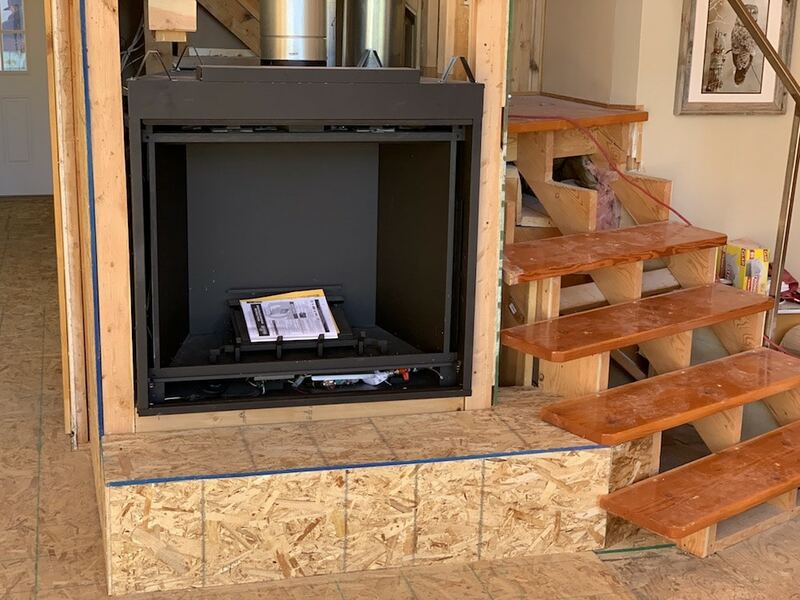 We have a Napoleon gas grill on our deck and freaking love it- such a great brand- excited to see how you like their fireplace because we’re thinking of a napoleon fireplace too! I also can’t believe anyone would think it would be okay to cut through floor joists! Eek! That exterior paint – LOVE! What an exciting post, can’t wait to see more, more, more!